“37 letters with exactly the same words. Some of the senders didn’t even care to remove the ‘Type company name here’ text. 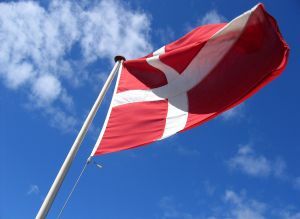 “Simular letters has been circulating in Denmark as an e-mail from the Danish MD Jørgen Bardenfleth to customers and business partners. What happened in Denmark seems like a felony that went unpunished for, like many others. Microsoft relies on people’s short-term memory span. Now there is a push there for proprietary OOXML coexisting with open standards. Microsoft Denmark and other Microsoft employees are pushing this post at the moment, in order to advance their interests of course. And then… surprise, surprise; Novell people are jumping in out of nowhere to muddy the water. I’m being publicly insulted by a Novell employee in the same context*. Maybe it’s hard for them to cope with the truth, so they strive to drive people away from it by smearing. In the process, Novell also defends OOXML, which is only to be expected from Mono staff. That leads me to my next point. Let’s say a miracle happens, and Microsoft does make the changes in Word and it actually works. What about all those billions of documents that are already in the old format styles? What about the hundreds of millions of users still using the older versions of Office? Every Office user in the world would end up having to fight with incompatible files and conversion woes. That would go over really well don’t you think? I’ve also heard it suggested that the i4i patent be over-turned. Oh kid, if over-turning patents were easy, everyone would be doing it. Microsoft says they won’t settle. So did RIM. They’ll settle. The only fast way out of a patent lawsuit that’s reached this point is surrender and that’s exactly what Microsoft will end up doing. Ironically, if Microsoft hadn’t insisted on shoving its own proprietary Open XML standard down users’ throats and had whole-heartily supported the truly open ODF (Open Document Format), Word would have an option for its users that would have avoided the i4i patent mess. Oh well, too late now! There is more on ODF in the news this week. Here are some links. • IBM Lotus Symphony 1.3 Review – The office alternative. Additionally, the program is designed on the Open Document file format which is versatile and has proven itself to be highly useful to millions of users around the world. Just remember to save your files in an alternative format if you want to read them on computers with other software installed, even though plugins exist. Overall, if you’re looking for a non-Microsoft option and you don’t have a huge budget, you should consider trying Lotus Symphony. Serna Free XML editor is an easy-to-use open source WYSIWYG XML editor for those who wish to smoothly adopt the XML technology. Indeed, Serna Free is the most powerful among free and open source XML editors for WYSIWYG authoring. * Webmasters of notable Linux sites are seeing that Novell employees are also doing the same thing anonymously — cursing this site and cursing me. They create an impression of resentment.